Dare to Be Different. Dimensional offerings enable print providers to differentiate themselves from commodity competition.. In addition to the personalization and short-run capabilities enabled by digital, print enhancement technologies provide special effects, including textures and raised and embossed features on a variable level. These solutions enable print providers to go beyond four- and four-color-plus-spot offerings to provide cutting-edge applications that demand attention. As these technologies work their way into the mainstream, we expect them to make an impact. Currently, only a few vendors offer print enhancement technologies and many print providers have yet to embrace the opportunity, mainly due to market awareness and reliance on legacy print equipment. Digital enhancement technologies allow print providers to add value to traditional applications, improving profit potential while simultaneously opening avenues for expanded offerings. The industry is evolving and print enhancement technologies have a place in the future. “In today’s fast-paced word the print industry as we know it is changing,” says Amit Shvartz, VP of marketing, Scodix Ltd. He explains that printers understand that they need to differentiate themselves. To help achieve this, print providers offer customers additional value with options that were not previously available to short- and medium-run length jobs. “The alternative of being able to print digital foil in small quantities with variable data is unique. As a result, printers can now offer a tremendous range of options to their customers,” he offers. Greg Gresock, worldwide director of product management, electrophotographic printing solutions, Eastman Kodak Company, print systems division, agrees, pointing out that print providers that go beyond four- and four-color-plus-spot printing and offer dimensional enhancements are able to differentiate themselves by offering attention-grabbing materials that are more visually and physically engaging. 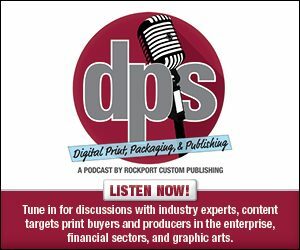 More options lead to expanded opportunity in the digital print space. In addition, digital enhancement solutions offer the ability to upgrade traditional applications. The benefit of digital enables a cost-effective solution for short-run work as well as the ability to add variable enhancements on all run lengths without the need for dies, outsourcing, and makeready. Shvartz suggests that print enhancement solutions can provide print providers with the ability to turn ordinary applications—like business/greeting cards, folders, book covers, brochures, labels, and packaging—into extraordinary creations. “The difference in end-product quality is so obvious that it’s easy to persuade customers of the value and the ability to increase both their business and profit margins,” he explains. Abergel says one interesting attraction of digital enhancement is that it can be applied to many different print applications based on customer need, interest, and budget. For example, MGI often sees its customers using the technology to help increase margins and revenues on standard commercial print applications. On the other hand, the technology also enables entry into profitable new markets, including book publishing and point-of-sale merchandising projects. Gresock sees dimensional opportunities in direct mail and promotional materials, as well as publications, business communications, business cards, and specialty print solutions. “These applications are the most common because they are areas where the need for attention- grabbing printed materials are prevalent. By offering dimensional print solutions in short runs and on short turnaround schedules for items like brochures, book covers, inserts, and durable mailers, print providers are able to differentiate themselves from competitors and help their customers achieve marketing and printing goals,” he adds. Another area for opportunity is the short-run customization approach to product segmentation. “Our digital enhancement technology can easily create a seasonal variation—like Summer or Winter; a product portfolio segmentation—for example, regular or deluxe; and a market-specific version—like English or Spanish,” says Abergel. Drilling further into short-run customization is the opportunity for personalization through variable data publishing (VDP). “The growth in digital printing over the last ten to 15 years has in many ways been driven by variable data,” says Abergel. “We see the same phenomenon beginning to occur in digital finishing and print enhancement. Personalization and customization will be the key drivers to getting fully integrated into multi-channel communications,” he adds. On the enterprise end, the ability of customer relationship management systems to produce segmented databases for short-run production enables many IT departments to assemble output lists that are linked as well as indexed for variable data capabilities. Abergel says MGI uses the terms variable data finishing or variable data foiling (VDF) to describe this process. He offers a recent example where the company promoted its capabilities on the 2015 Graph Expo show directory. MGI created 20,000 cover cards with unique names and serialized numbers on each piece. “The response was remarkable, we found people sorting through the piles trying to find their own name and take the magazine home as a souvenir of their experience,” recalls Abergel. Print providers can use enhancement technology to increase profitability by offering personalization options. “The advantages start before the job begins, when printers and finishers present multiple versions of the potential finished product at the time when they bid and quote the product,” says Abergel. As providers of enhancement technologies continue to spread the word on the advantages of their solutions, it’s important to understand what makes these offerings tick. Here, we provide a technology breakdown of solutions from Eastman Kodak Company, MGI, and Scodix. Kodak’s NexPress technology features the ability for Intelligent Dimensional Coating as part of the Fifth Imaging Unit Solutions portfolio. It enables 3D effects for specified text and images and is one of nine available print enhancement solutions currently offered on the platform. It is available for all NexPress presses sold in the last ten years. The Kodak NexPress Intelligent Dimensional Coating Solution is driven by Kodak NexPress Dimensional Clear Dry Ink, which is loaded into the Fifth Imaging Unit of a NexPress Press. Gresock describes Dimensional Clear Dry ink as a dry ink that creates a clear raised layer on top of a page element after fusing. The Kodak NexPress Dimensional Coating Solution operates on the Kodak NexPress Digital Production Color Press Platform and can be implemented in several ways. In the creative design and prepress process it can be integrated through the design of textures and graphical overlays specifically to enhance underlying artwork. It is also available through pre-loaded, pre-built textures such as pebble finish, linen, or canvas textures. These are selected as a job ticket item within the NexPress Digital Front End to enhance the printed application. Finally, it can be implemented through coverage settings on the NexPress Digital Front End, where the Dimensional Dry ink is placed wherever CMYK inks exceed certain coverage thresholds to give a raised effect similar to thermography. “There is no need for specific design work in prepress and it is a simple job ticket selection,” says Gresock. Dimensional printing takes place inline, maintaining press productivity while creating high-impact results that grab a reader’s attention. “The process is clean, simple to implement, and functions in a single pass on the NexPress Press. For short-run applications, the NexPress Dimensional Printing Solution is a lower cost than analog or other digital alternatives,” says Gresock. MGI offers a growing portfolio of digital print enhancement products that center around its flagship JETvarnish 3D and iFOIL solutions. All of the integrated MGI JETvarnish 3D and iFOIL systems offer 2D spot UV coats, 3D dimensional textures, and embossed foil with VDP and customization options. The JETvarnish 3D product can be purchased and used as a stand-alone solution. The iFOIL module is an inline product that connects to the JETvarnish 3D and MGI Meteor DP Series of digital presses. There are currently seven versions of the JETvarnish 3D and iFOIL products, and Abergel says more are on the way. The company also produces a customized version of the JETvarnish 3D and iFOIL products for Konica Minolta, an exclusive worldwide distributor of the JETvarnish 3D and iFOIL S Model Series. MGI debuted the iFOIL T Model at the 2015 Graph Expo. It is an inline, toner-based foiling solution that integrates with the Meteor digital presses. The company also premiered the roll-fed JETvarnish and iFOIL W Models at Labelexpo in Belgium. The W is a digital print enhancement system for label production. The MGI JETvarnish and iFOIL system utilizes inkjet varnish application methods and a hot foiling process. “We have three curing methods—UV, infrared, and LED. These curing options and the ability to adjust settings for different substrates, finishing materials, and temperatures create a powerful set of tools for digital print enhancement,” says Abergel. Additionally, the MGI JETvarnish 3D and iFOIL systems are designed with a native touchscreen software application, which includes a time and materials cost calculator so that operators and managers can estimate project delivery requirements, manage work schedules, and accurately bid and quote jobs to ensure optimal profit margins. Abergel says the operational software of its digital embellishment system allows users to control the application of varnish and foil down to the pixel and micron levels. “A print in a standard format is all that is needed to run the system and apply the enhancements,” he explains. The JETvarnish 3D and iFOIL system are designed to serve as print enhancement systems, not as printing presses. However, Abergel says that by using varnish as an adhesion surface, it is possible to “print foil” in a variety of ways, such as to produce personalized names, text, numbers, and images. “Traditionally, it has been impossible to create individualized, embossed foil applications due to the high cost, time, and effort needed to produce dies. So, for a personalized, 10,000 piece print run, you would need to produce 10,000 separate dies. That is obviously not a workable solution,” observes Abergel. “With MGI VDF, every piece that comes off the line can be personalized for a separate customer name and done in embossed foil up to 200 microns high,” he concludes. The Scodix philosophy, according to Shvartz, is to approach each individual customer through the specific application(s) they require. For example, the Scodix UltraPro Press allows users to deploy any application needed for enhancement all in one system, whether it be Scodix foil, Scodix SPOT, Scodix Metallic, Scodix Variable Data, or Scodix Braille. “Our objective is to provide customers with innovative applications that are cost effective, robust, and reliable. We strive to deliver enhancement capabilities that give print providers the tools they need to differentiate themselves from the competition and produce high-quality end products that could never before be achieved in short, medium, and even long runs,” says Shvartz. Scodix solutions are based on inkjet technology with a host of innovative, proprietary, and patented technologies designed to support the use of inkjet for its range of applications. Software is included with every Scodix solution. Further, they are designed to support any design software currently in use by its customers. “The vision is to offer the Scodix enhancement through the current tools they use,” he offers. Digital print enhancement technologies address demands to offer more attractive and engaging print solutions across a variety of print segments, including commercial printing, photographic services, and specialty print. With these tools, print providers can break out as true marketing partners.